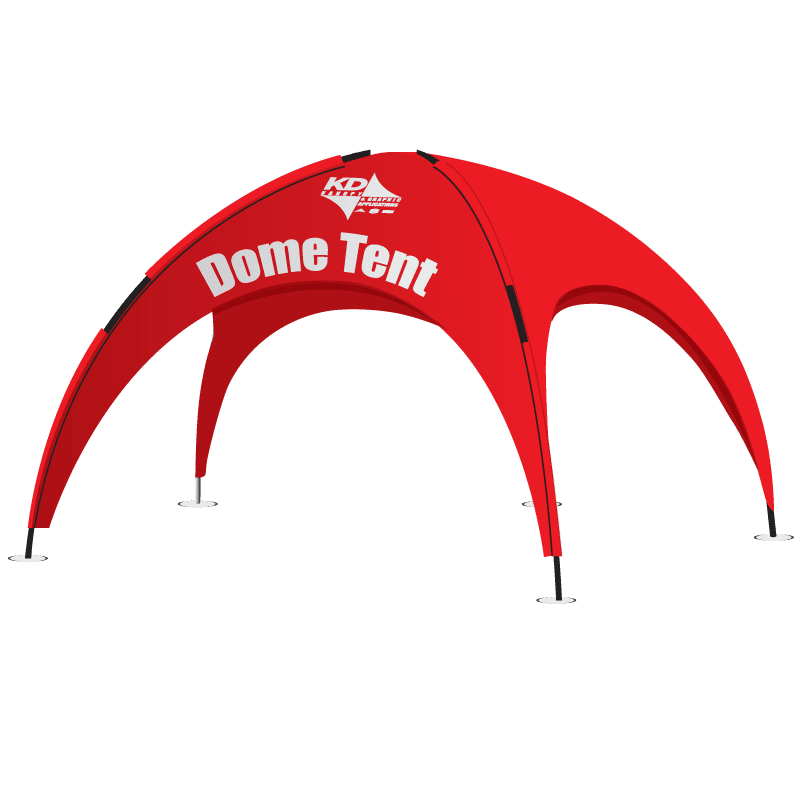 The four sides of this tent create a unique pyramid shape that will draw attention and help your brand stand out. The KD StarShade tent is a tension fabric structure supported by a single center-pole and ground up tension. 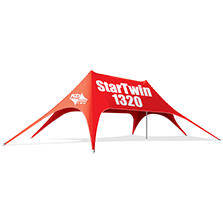 The StarShade 200 stands 16’5”’ tall and spans a 30 foot diameter. 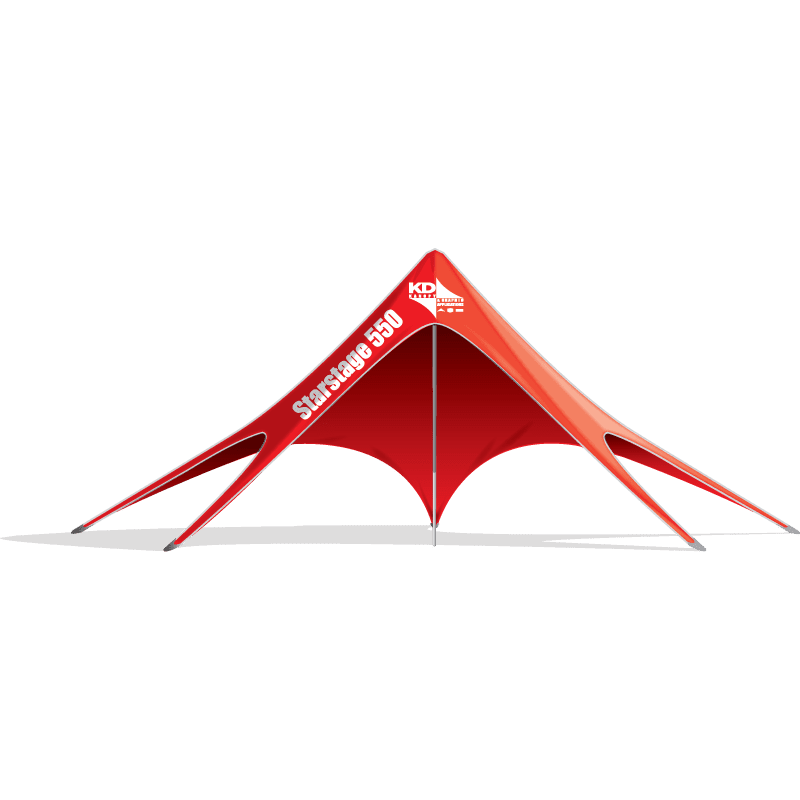 The StarShade tents fold down into 3 carry bags, which fit in the trunk of most standard vehicles. The Unique Design of the StarShade was invented by KD Kanopy. The 4 elegant arches give added visual appeal and, at 7‘6” high, for ease in entering the covered area. 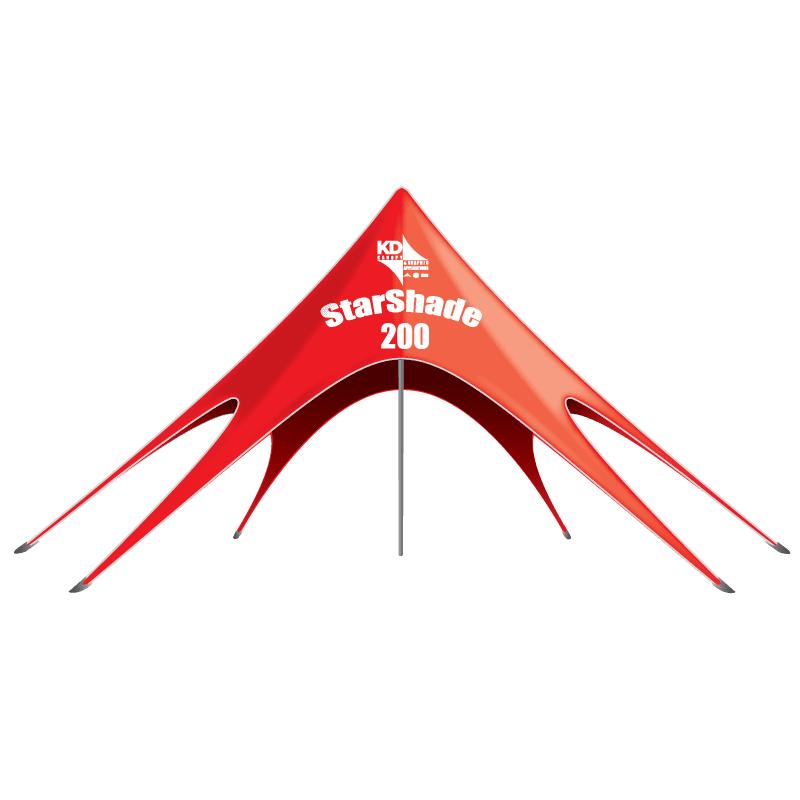 Quickly set up the StarShade 200 in about 40-60 minutes.